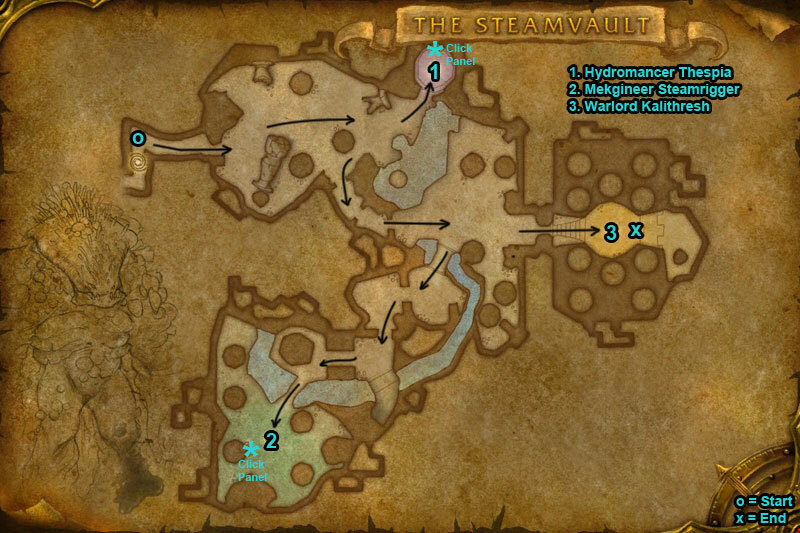 You can find The Steamvault dungeon within Zangarmarsh, Outland. 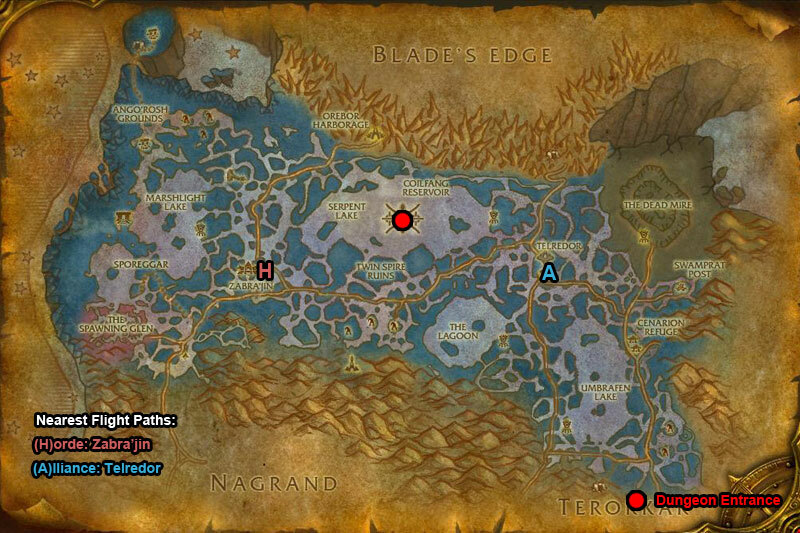 Kill Hydromancer Thespia (boss 1) and Mekgineer Steamrigger (boss 2) then behind them click the Main Chambers Access Panels. This will unlock the Main Chambers Door to gain access to the final boss. /i Stuns a player with a cyclone. Lightning Cloud appears on a player inflicting nature damage, move out. Inflicts physical damage to a player. Coilfang Water Elementals assist in battle, interrupt their Water Bolt Volley. /i Catches a player in Electrified Net & does ticking nature damage. Avoid frontal cone Super Shrink Ray. Saw Blade hits a player inflicting damage. Steamrigger Mechanics during fight will heal boss with Repair. /i Kill any Naga Distillers before they buff boss. Reflects all spells back at casters with Spell Reflection. Head Crack reduces a players stamina. Impale inflicts physical damage & adds ticking damage.